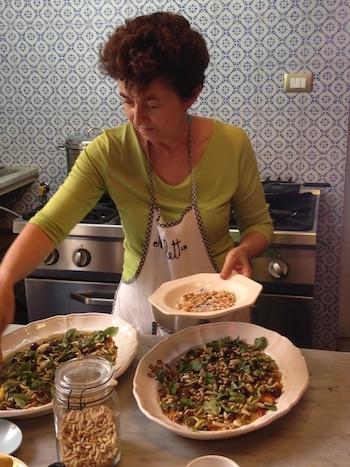 “I belong to my fishmonger,” explains Nicoletta Polo, Duchess of Palma, our host and cookery teacher for the day. “In other words, I always buy from the same person and he treats me well. I also belong to my baker, greengrocer and so on.” The word doesn’t translate well to the rest of Italy, and as we are to learn many things we’re about to cook and eat during this unusual cookery lesson are particular to Sicily. But first we have to source our ingredients, which is why we are in Capo market at 8.30am, the name Capo sounding Italian but, in fact, deriving from Arabic. Indeed, Arab culture has had a big influence on the food of Palermo (compared to the more Greek-influenced cuisine of Sicily’s east coast), as we are also to discover. Our first stop is the fishmonger, to whom the duchess belongs. He is greeted with a peck on the cheek and given an order for sliced swordfish. Next we visit a vegetable stall, behind which hang pictures of Jesus and the grocer’s mamma. Nicoletta selects shining red bell peppers, huge sun-coloured lemons and Roma tomatoes from the hundreds of fruit and vegetables on display. Last but not least is Andrea, from whom the Duchess always buys her bread. Andrea’s family run a century-old bakery in nearby Monreale, where they cook loaves made with semolina flour and natural yeast on fires fuelled by olive branches. Because she belongs to him, he always gives her an extra loaf, which we break together in the market. It’s fresh, of course, slightly grainy and delicious, and we eat it by Andrea’s stall in the middle of the market opposite a 1612 baroque church filled with inlaid marble – US bombs missed the church in the Second World War but destroyed the nunnery next door. Food, religion and history are everywhere here. To Nicoletta’s home to cook lunch. But certainly not any old lunch, nor any old home, rather the magnificent 17th-century Palazzo Lanza Tomasi, where Nicoletta lives with her husband (presently sleeping off jetlag after flying back from New York) Gioacchino Lanza Tomasi, Duke of Palma, distant cousin and adopted son of Prince Giuseppe Tomasi di Lampedusa, author of Il Gattopardo (The Leopard). The prince died in 1957 from a lung tumour and the book was published in 1958 – in his will he asked the duke (on whom the character of the dashing Tancredi is based, according to one of his letters) to try to see the book published after his death. It’s not often that you get to enjoy lunch in a palace with a character from one of the world’s finest literary works, so I’m excited to say the least. Into the spacious, tiled kitchen, with polished copper pans hanging from the walls. We start with the dessert, biancomangiare (blancmange), made with almond milk, cornflour and cinnamon and studied with bitter chocolate chips, zuccata (candied pumpkin), sliced almonds, chopped pistachios from nearby Bronte, the jasmine flowers from the garden and pieces of cinnamon stick to decorate. “All the flavours of Arabia,” says Nicoletta. While the blancmange sets in the fridge, the duchess delegates tasks to her students (a mixture of Aussies, Americans and two Brits). We prepare pistachio pesto crostini; elicoidali with pesto Trapanese (a fresh tomato sauce with basil and almonds topped with toasted breadcrumbs, often eaten in Sicily instead of Parmesan); a brightly coloured bell pepper, caper and black olive salad; and swordfish rolls stuffed with anchovies, currants, pine nuts, minced herbs, grated lemon and orange zest – again, the Arab influences are obvious in this dish. “Pine nuts are very expensive back home,” I say. “Oh yes, they are here, too,” Nicoletta replies, tossing in a few more handfuls. Boy, this is going to taste great. As we prepare the dishes under Nicoletta’s gentle instruction, we learn a few lovely anecdotes. Quanto basta, or q.b., for instance, means ‘as much is enough’, and is used in every Italian cookery book. You simply cook something until you think it is ready – no pesky timings here. Another handy tip: to sauté onions, finely chop and add to a pan with oil and plenty of water, heat, then leave to cook q.b. (about 20 minutes to us), while you get on with something else. Speaking of historical detail, the duke was friends with film director Luchino Visconti, who asked him to advise on details, such as where the family hung their hats and how they dressed, for his film The Leopard, which stars Burt Lancaster as Prince Don Fabrizio Salina and Alain Delon as Tancredi and won the 1963 Palme D’Or at the Cannes Film Festival. One of our party, aptly named Kate, a recently retired American art history lecturer here with her husband Will, is entranced by the paintings hanging throughout the palazzo. “My goodness,” says Kate, “that’s a 16th-centry Barocci.” It’s just one of many fine works including a Picasso and portraits of the family’s ancestors (one of whom was in Dante’s Purgatorio, the second part of The Divine Comedy; another was canonised). The palazzo suffered extensive US bomb damage during the Second World War and the duke spent much time and money repairing it to create the splendour we see today. But there’s a real sense, as in the book, that we are simply guardians of whatever hand we are dealt and for a brief time only. Or as Peter Robb says in Midnight in Sicily, The Leopard is less a novel and more a “great Baroque meditation on death”. 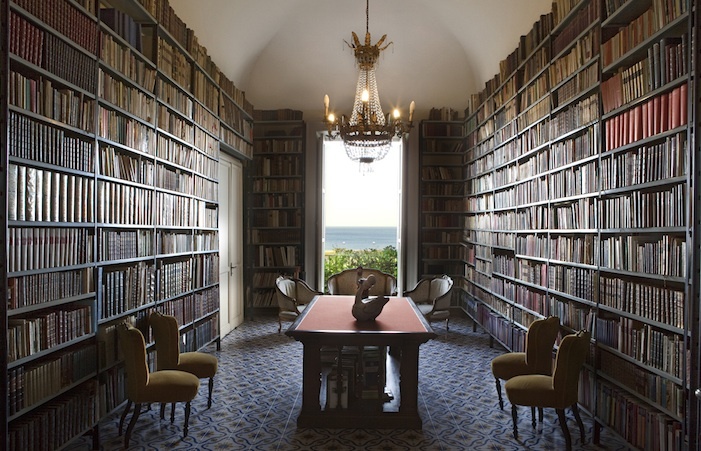 Belonging, provenance, literary and art history – it’s all here. You can even stay at the palazzo; Nicoletta rents out a dozen very reasonably priced short-stay apartments within it, some with sea views. All are spacious and self-contained with a kitchen, washing machine, TV, free wifi and so on. Staying in one, with its old tiles, pictures with local themes (such as marionettes from the nearby marionette theatre) and tropical plants on the balconies, gives you a real flavour of belonging in Palermo. 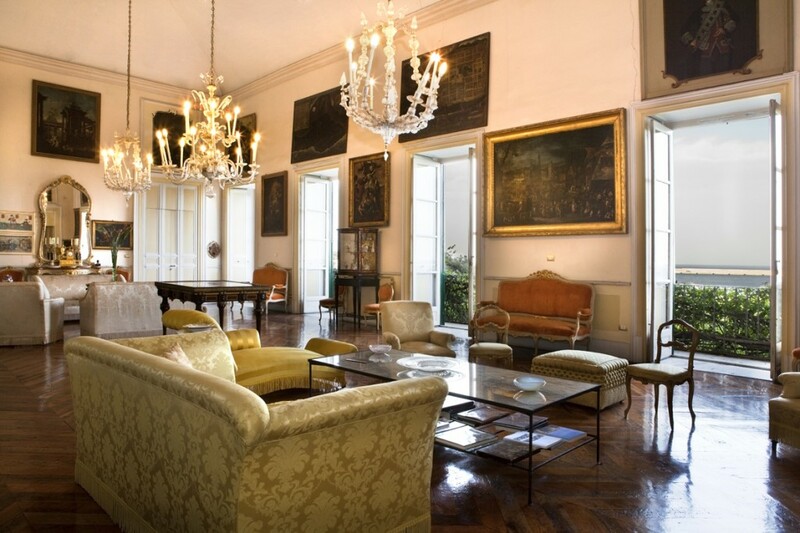 Palazzo Lanza Tomasi, Via Butera 28, 90133 Palermo (+39 333 3165432). 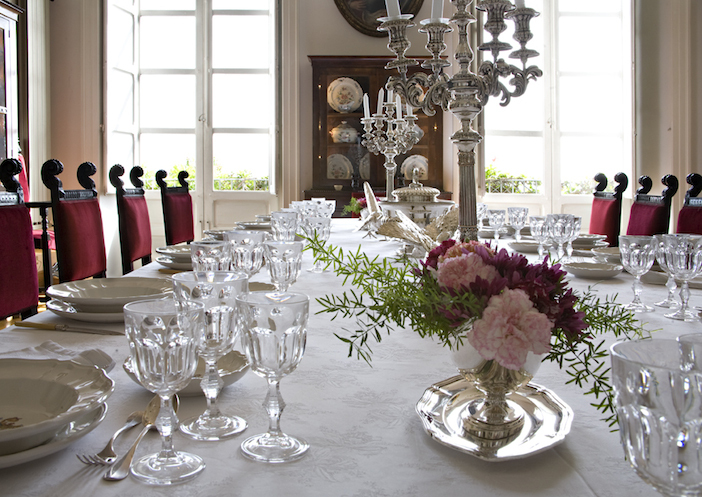 For more information about staying at the palazzo and cooking with the Duchess of Palma, visit www.butera28.it.